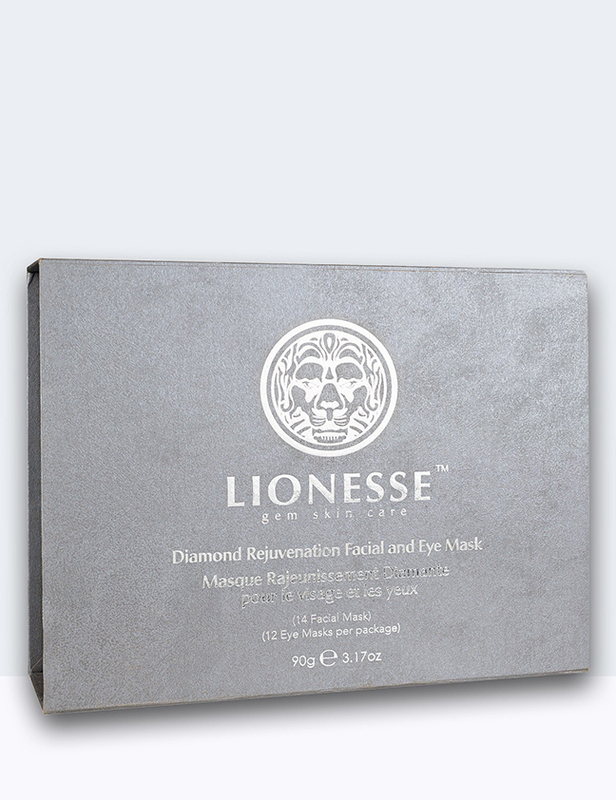 Restore a more youthful, lustrous-looking you with Diamond Ultimate Lifting Mask by Lionesse. This rich mask transforms before your eyes to bring luminosity and firmness to fatigued, lackluster skin. Light and non-greasy, the gel-like cream leaves your skin feeling very soft and looking radiant. Formulated with Vitamin A (Retinyl Palmitate), Vitamin E (Tocopheryl Acetate) and Sodium Hyaluronate this luxurious cream reduces the appearance of aging while restoring lush moisture and radiance. 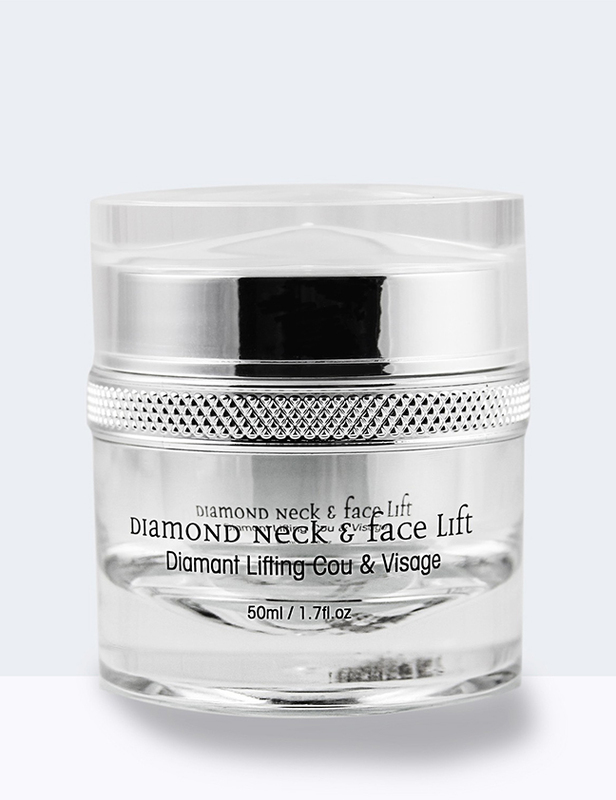 Diamond Neck & Face Lift a sumptuously rich moisturizer, specially formulated to renew dry and fatigued skin. An extravagantly advanced emulsion, it will promote a more radiant complexion while smoothing away the appearance of lines and wrinkles. 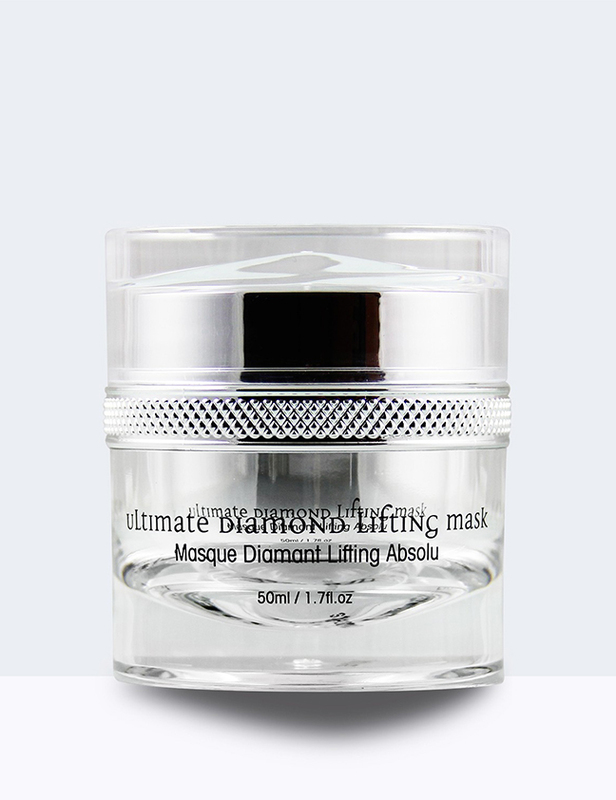 Ultimate Diamond Lifting Mask Restore a more youthful, lustrous-looking you with Diamond Ultimate Lifting Mask by Lionesse. This rich mask transforms before your eyes to bring luminosity and firmness to fatigued, lackluster skin. Diamond Rejuvenation Facial and Eye Mask Formulated with Collagen and Hyaluronic Acid, this unique mask will eliminate the look of sun-damaged, aged skin. 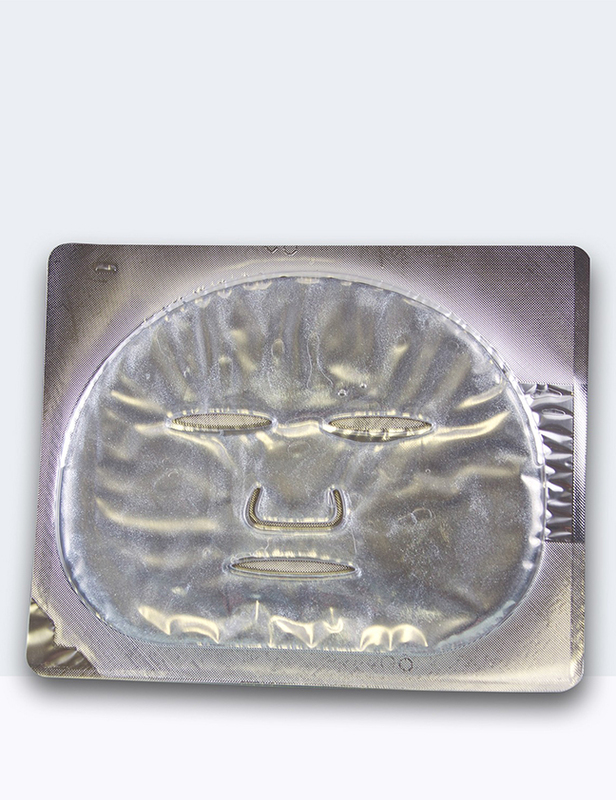 This unique mask was designed to reduce the look of wrinkles and to give aging skin a tighter, younger appearance. 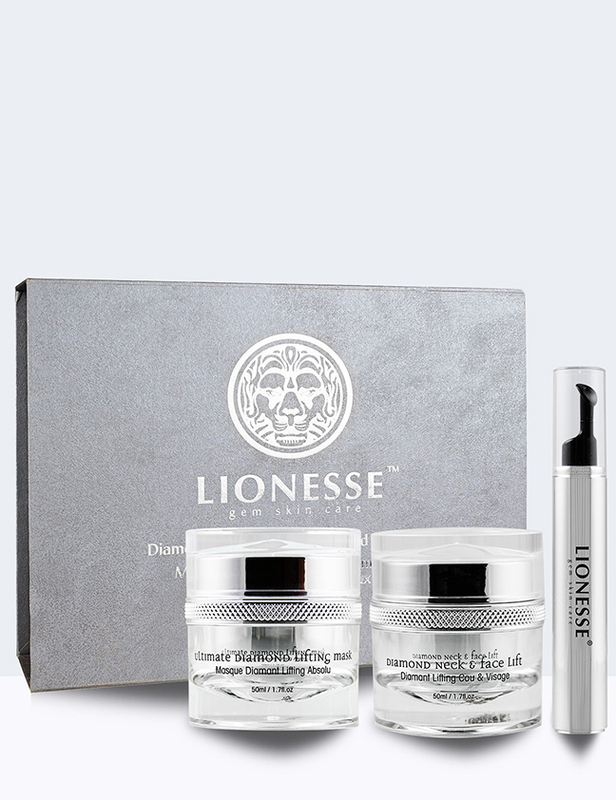 Diamond De- Puffer Infused with a concentrated dose of Hyaluronic Acid and Acetyl Hexapeptide-8, this revolutionary refreshing treatment will restore a look of youthful vitality to tired eyes while targeting and refining the appearance of fine lines and wrinkles. Formulated with Collagen and Hyaluronic Acid, this unique mask will eliminate the look of sun-damaged, aged skin. This unique mask was designed to reduce the look of wrinkles and to give aging skin a tighter, younger appearance. 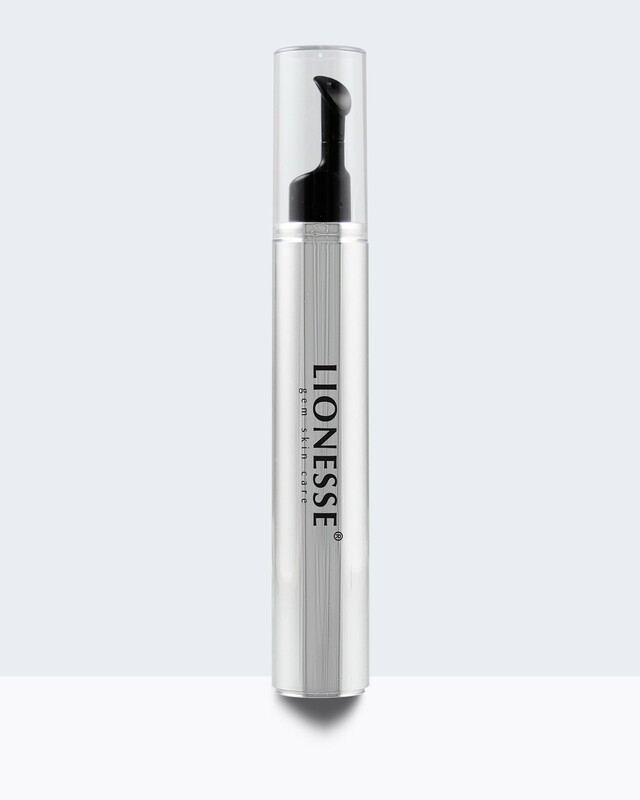 Rid yourself of under eye puffiness and achieve a tighter, smoother appearance with the innovative and invigorating power of the Lionesse Diamond De-Puffer.